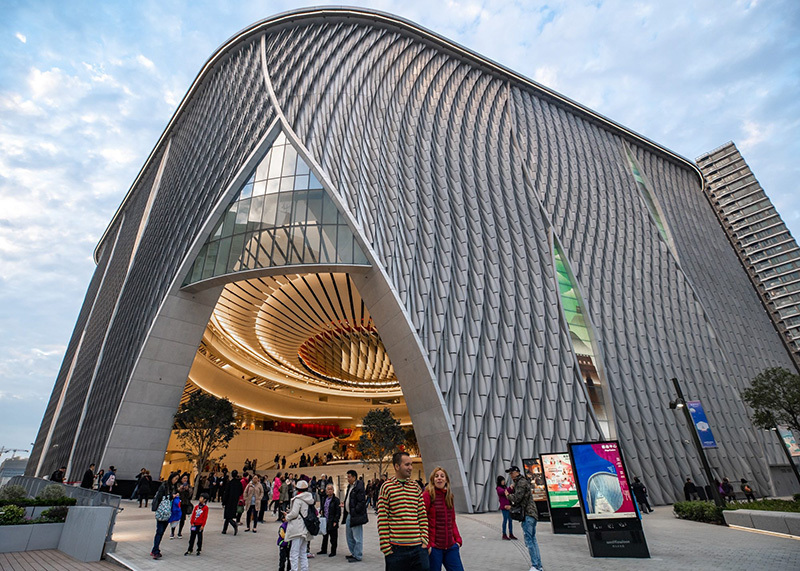 HONG KONG – The new Xiqu Centre in Hong Kong, a venue dedicated to performances of Chinese Opera (Xiqu), held its grand opening Jan. 20. Sound Space Vision (SSV) was part of the design team working on acoustics and sound reinforcement systems within the 1,073-seat Grand Theatre and 150-200-capacity Tea House along with other spaces within the complex. 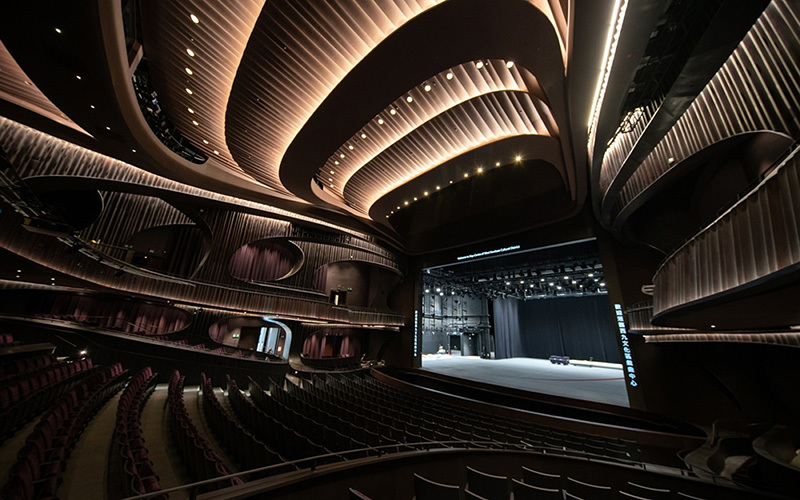 The rounded acoustical character of the Grand Theatre, derived from the sinuous curves developed with the architects, is composed of a timber lining of boards milled with gaps and insulation in strategic areas to absorb or scatter sound, while surface characteristics are arranged to control orchestra loudness, maintain clarity, and project voices clearly. 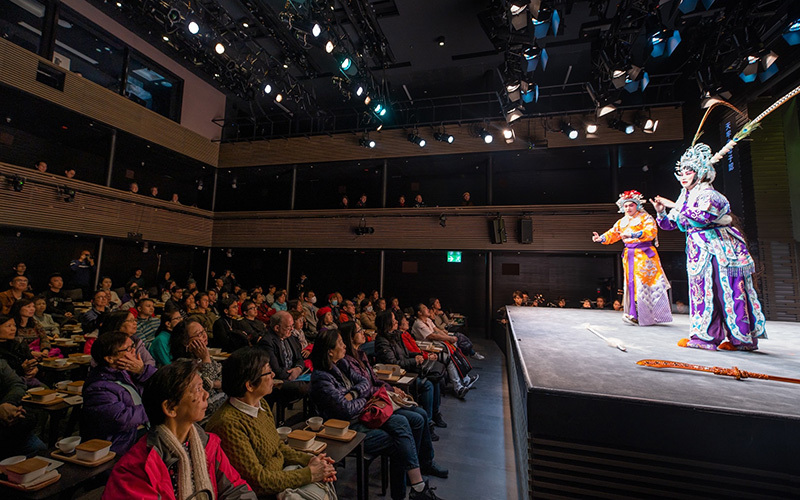 This keeps the sound image focused precisely on the singers, and allows performers who prefer natural acoustics (without amplification) – as is the case for some mainland traditions – to work with a supportive, but clear, room acoustic. 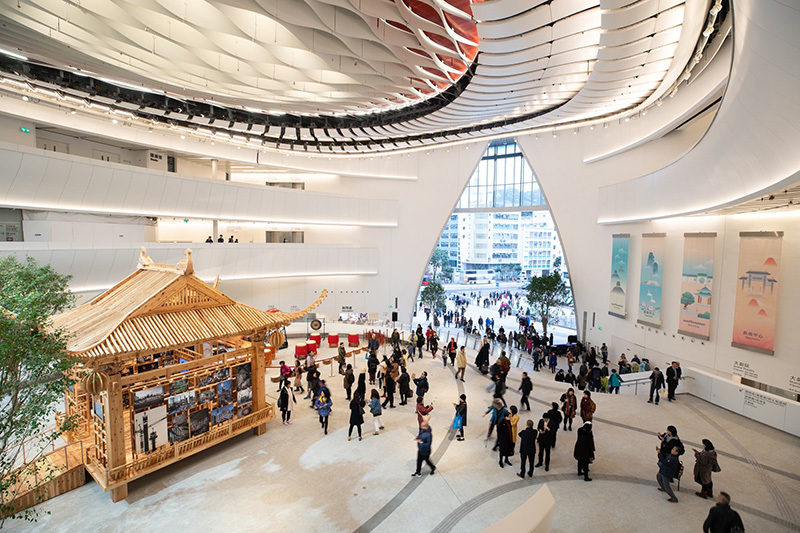 In addition to providing expert advice and specifications for the remaining studios, rehearsal halls and the Seminar Hall, the ceiling of the Centre’s ground-level, public atrium was designed to control day-to-day noise such as shoppers, background music, and traffic from becoming a distraction in other areas. Suspended from the building’s roof at the fourth level, the Grand Theatre’s base provides the decorated ceiling for the Atrium.